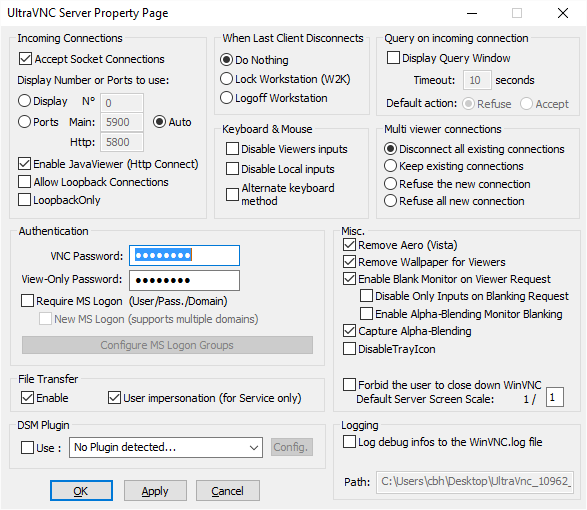 In a pervious post I have written about how you can remote control a Pc in WinPe. In this post I will show you how to setup your task sequence to remote control the Pc after the WinPe phase. Thanks to Gery’s blog for the inspiration. 2. Start “winvnc.exe” –> set a password. Click “Ok”. When you click “Ok” a .ini file will be generated. 1. Download the java packages here. Change the setting from “False” to “True”. 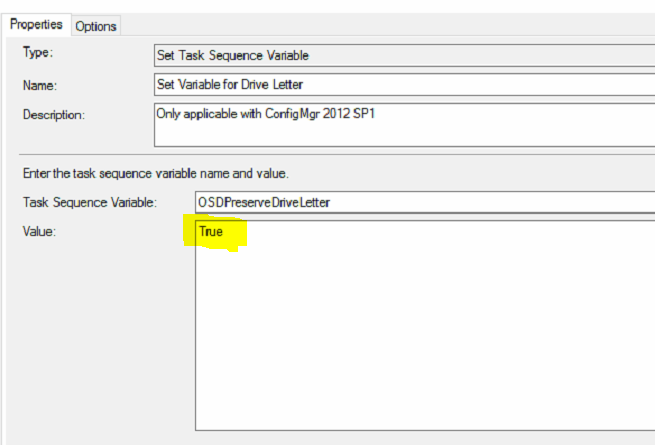 Click “Ok” to save the changes to the task sequence. I know the in the description is says “Only applicable with ConfigMgr 2012 SP1”. But I have also seen this issue SCCM CB 1602. When I have to look in log files for errors and other things, I always use CMtrace. It is a very good log file viewer. CMtrace is already included in WinPE. But not in windows. So this small .cmd file will add it to windows and then you can use it on all your windows installations. 1. Create a package with “CMTrace.exe” and “copy_cmtrace.cmd”. You can download the here. 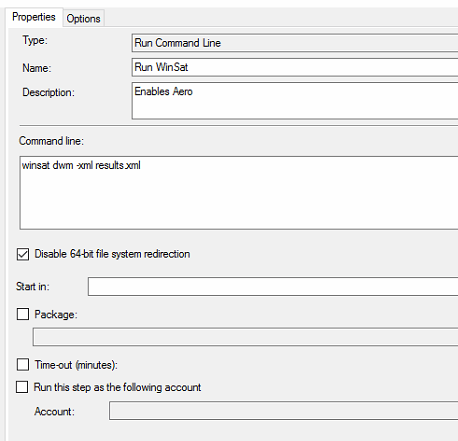 If you want to make sure AERO is enabled in windows 7 after OSD, then you can “Run Command Line” with the following settings at the end of the task sequence. 1. 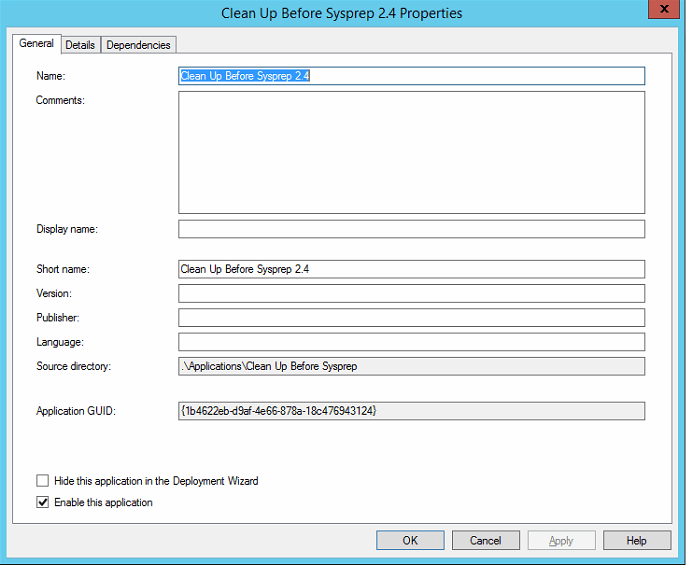 Download “EnableSystemRestore.ps1” and put it in a SCCM package. Improve deployment time during OSD with power management. To improve the time that it takes to install a computer with OSD, you can add a “High Performance Power Scheme” while OSD is running. And then changed it back to the default “Balanced” at the end of the task sequence. You have to add the “High Performance Power Scheme” while you are in WinPE and in Windows. 1. Create a package that contains “PowerCfg.exe” for the WinPE phased. You can find the file on a windows PC.